Orange County Building Maintenance is a privately owned local business that cleans and maintains buildings in Orange County and the surrounding areas. Our focus is on people. Our employees and the people working in and visiting your buildings are the focus of everything we do. 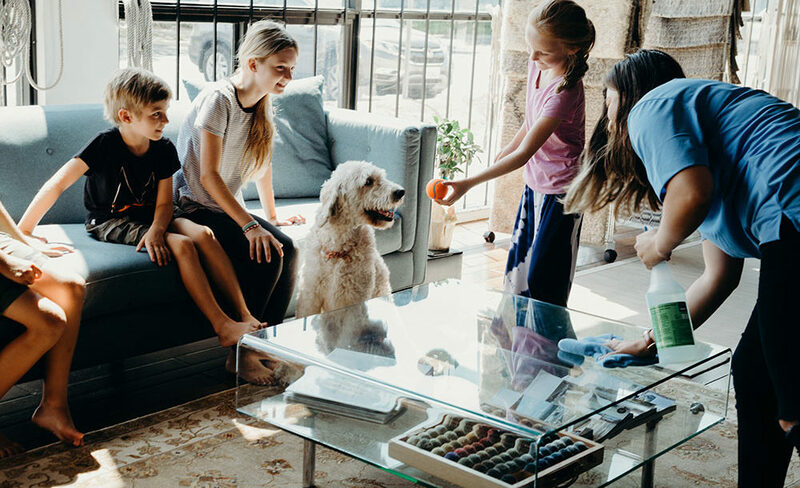 The better that we take care of and train our employees, the better they can provide a safe and healthy environment for your people to thrive in. This is the focus of everything we do. While our business is to clean and maintain commercial buildings, our primary goal is to listen to our customers. Each building has a different set of challenges and standards set forth by management. Our consultative approach is to listen to your needs and then implement a consistent and high quality level of service to help you achieve your goals. Our ultimate goal is to keep Your Space Maintained – to provide a clean and healthy space for your employees and business to thrive in. Christian grew up in the Midwest and moved to Orange County when he was 20 to enjoy the mountains and the beaches. He worked as General Manager for his family’s floorcovering business for 15 years before purchasing OCBM in early 2017. 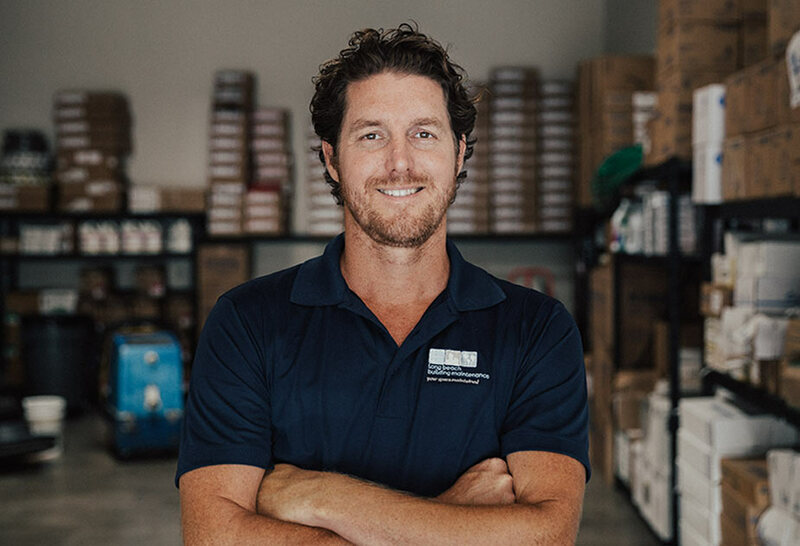 Attention to detail, customer service and open communication is what he prides himself in and he works hard at bringing that to the forefront with all of his employees in order to better service his customers. Joel has been with OCBM for over 20 years and is the heart and soul of the company. His attention to detail, vast experience, and no-nonsense approach to cleaning and working with employees are his greatest strengths. His work ethic is un-matched in the industry and he takes great pride in maintaining clean environments for all of our customers. Kim is the Office Manager for more than a hundred employees, keeping all the paychecks and schedules spinning like clockwork. 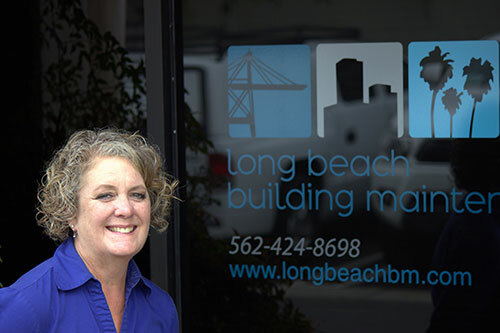 In her previous positions for Taco Bell Corporate, Farmers Insurance, and as a Catering entrepreneur, she became adept with database management and provides that expertise and other human resource services for OCBM. For several years she’s run a Scuba Diving boat out of Long Beach with her husband on the weekends, and she is not only a U.S. Coast Guard licensed Captain but also loves underwater photography. She’s a native Californian, born and raised in Palm Springs, and currently lives in Lakewood. 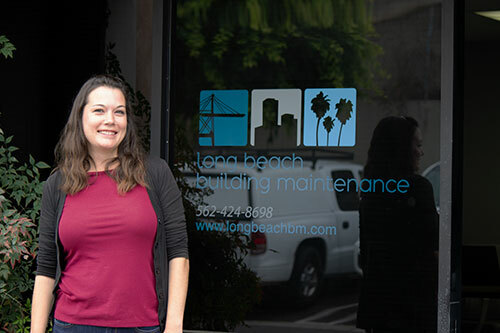 In her role as Customer Relations Manager, Kelly builds relationships with current and future clients. 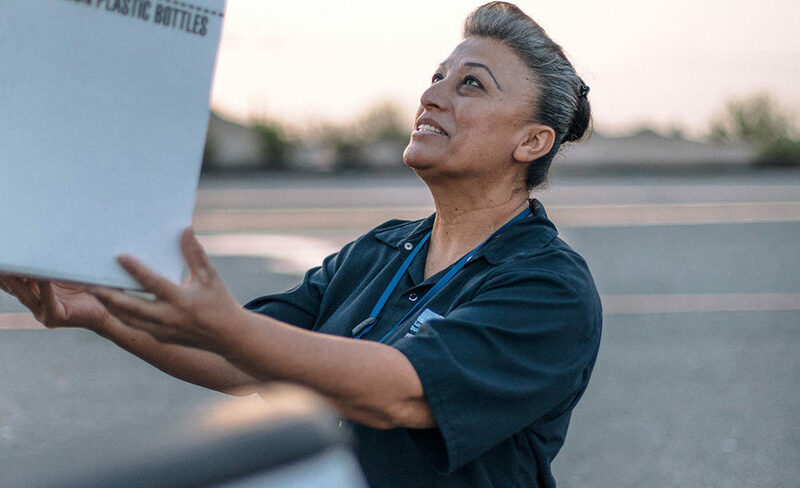 Her humor and enthusiasm help her provide world-class customer service. For the last six years she worked in the sales department of WAXIE Sanitary Supply, helping them achieve record year-over-year growth and serving as the backbone of the sales force. Originally hailing from Seattle, she relocated to California seven years ago, and since that time has made the most of Disneyland and the beach. 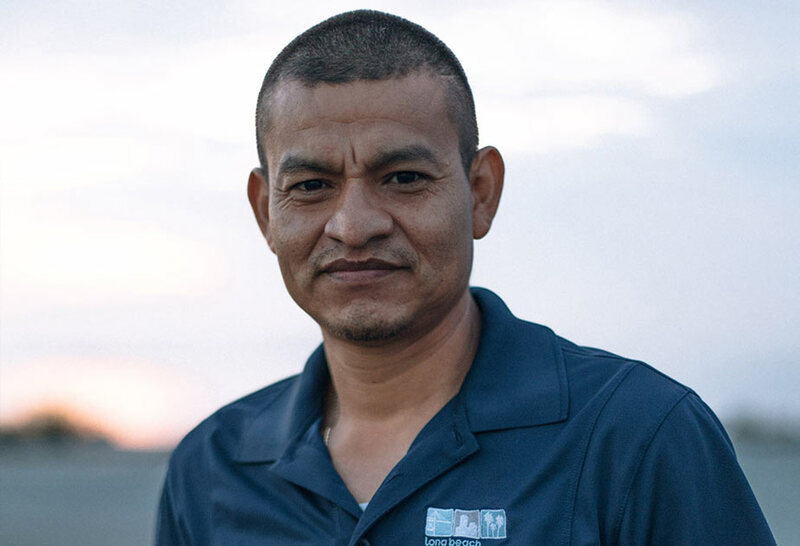 A longtime resident of Long Beach, Adrian is our Area Manager, overseeing special projects, machinery repairs, and cleaning supplies for hundreds of locations. 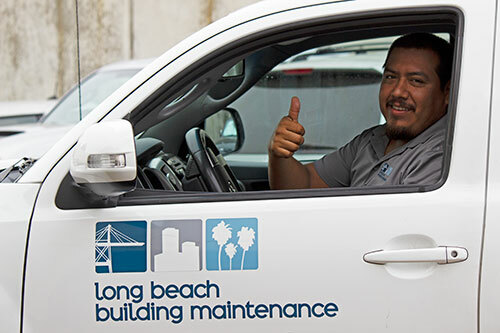 He’s worked for several local companies, including the Long Beach Convention Center, and has a knack for keeping all the heavy machinery in pristine order and ensuring that every employee is well stocked with cleaning supplies. He is happily married and has two children – a three-year-old girl and a six-month-old boy. We are ready to Maintain your Space! OCBM employs more than 110 people that cover over 70 different locations in education, financial, offices, industrial, healthcare, retail, hospitality and stadiums. Whether it be janitorial, day porter or specialty jobs, OCBM has the staff to meet your needs on short notice. Contact us for a site visit. Get a customized quote for your building needs.